Will This Shot Across The Bow Reverberate Throughout Washington? It was a bad day if you were Sen. Mitch McConnell and the establishment Republicans in Washington. The voters in Alabama voted overwhelmingly for Judge Roy Moore over Trump-backed Luther Strange. Strange was appointed to fill the vacant United States Senate seat previously held by Jeff Sessions when Sessions was offered the position of United States Attorney General. McConnell and the establishment Republicans poured boatloads of money into Alabama to get Strange back to Washington only to flush it all down the toilet. 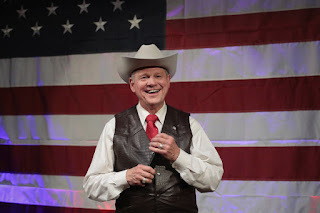 The conservative voters of Alabama soundly rejected business as usual and took a flyer on Judge Moore to shake things up. Will Goodell's Ideology Trump Sound Business? The NFL has been the goose that keeps laying the golden eggs for many years now. It surpassed baseball long ago as the premier sport and America's favorite pastime. With the Colin Kaepernick story continuing to make news and several players and teams kneeling or refusing to honor the United States flag and national anthem, the NFL is finding itself in murky waters. 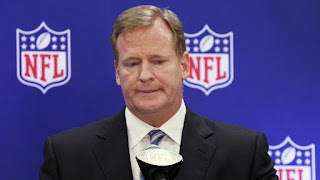 Commissioner Goodell hasn't helped matters and by standing with the players and calling out President Trump he has aided in alienating the fans even more. Goodell is a progressive and thus that ideology overrides what is best for business and the fans. Why Do Progressives Oppose Choice? A good friend of mine sent me a link to a piece the other day and it made me think. In the piece it mentioned school choice. 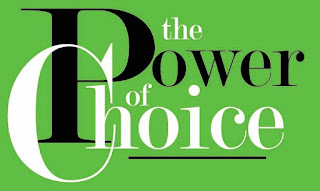 I began to think about choice in a variety of major issues and it became clear to me that progressives oppose choice in everything except in the case of abortion. From school choice and vouchers, healthcare, guns and the right to carry, and even in everyday life and what a person eats and drinks, the progressive crowd is against choice. I wondered why that is. I then thought further and believe it's because choice is empowering. Progressives believe in controlling people from the cradle to the grave, if they allow your mother to keep you and give birth to you in the first place. So let's look at a few major issues and highlight this a bit more.